Previously, we talked about selling medicine to doctors, specialists and smaller clinics. Today, we will discuss on the big boys: medical equipment and the methods to sell them. Unlike medicinal drugs that can be quickly replenished upon depletion, medical equipment and supplies are not so quickly replaced and disposable equipment are purchased in bulks. So, to sell something that can last for a long time, it requires different methodologies as well as a slightly different approach as to who to sell. Try to think of this approach as if it were a business to business proposition. You need to climb up different levels of approval, quote the right price and negotiate with the right PIC to get the sale. HOWEVER, your main prospect should always be the doctor because they are the ones that will use these machines the most and their recommendations can help you get in touch with the hospital director or board. Medical equipment and devices come in two types: disposables and Indisposables. Disposables are any medical apparatus intended for one-time or temporary use. Items such as syringes, rubber gloves, gauze and surgical sponges just to name a few. Indisposables are the equipment/devices designed for multi-uses and is used to aid in the diagnosis, monitoring or treatment of medical conditions. 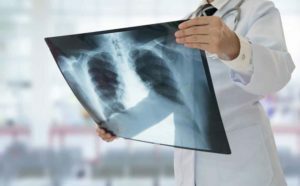 Items such as PET, CT Scanners, X-ray and Heart-lung Machines are classified as such. 1. Materials used in making the supplies. 2. The level of safety when using them. 3. What other hospitals or specialist clinics are using them. 4. Other countries that also use and supply the equipment. 5. Your own quality service and delivery. Machines such as diagnostics and scanners are unquestionably expensive which is why the decision to purchase them rarely comes from 1 person (unless he owns and manages the whole facility). The decision to buy (or not) also affects the doctors and specialists that will use them which will result in the value of the shares and stocks of the hospital. It’s a fuzzy cycle of decision makers but one that can be tuned out once you know who to speak to and this needs careful rapport building. Rapport building, as previously discussed in the previous article, is your biggest key advantage to closing a sale. Big and expensive machines need good customer service. This is what assures a future repeat sale as the hospital or clinic will look to your expertise. Not only that, but also provide good consultation for the product that you are selling so there are no unintended accidents for patients. Sales Ninja have trained numerous medical sales reps to successfully sell armamentarium and disposable supplies with great efficiency. Sales reps everywhere have claimed an increase to a 5-figure commission thanks to the boost from our programs. How to tackle multiple stakeholders and close the sale. Click HERE so our Solutions Manager can contact you and show you our full solutions to enhance selling more medical devices!